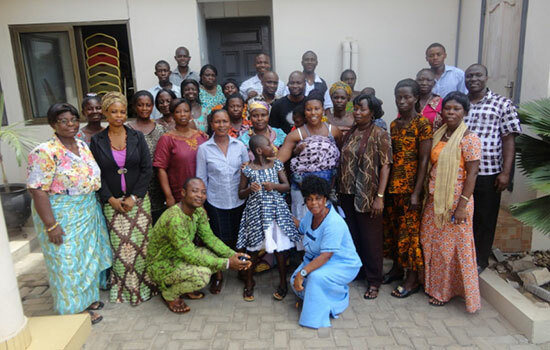 Inclusion Ghana believes there is a need to empower, motivate and support parents of persons with intellectual disability in Ghana as these parents are often confronted with stigmatization and discrimination because of their children's disability. By forming Parents Self-Help Groups (PSHGs), parents will have a platform to meet people with the same circumstances with whom they can exchange their experiences and emotions. Together parents can support each other as they learn how to cope with these difficulties and gather tools and knowledge that can be helpful in their lives and those of their children. Due to the stigmatisation attached to intellectual disability in Ghana, many families find it difficult to talk openly about their situation and more importantly to access the range of services available. PSHGs therefore aim to empower parents of PWIDs against stigmatisation and exclusion from society. 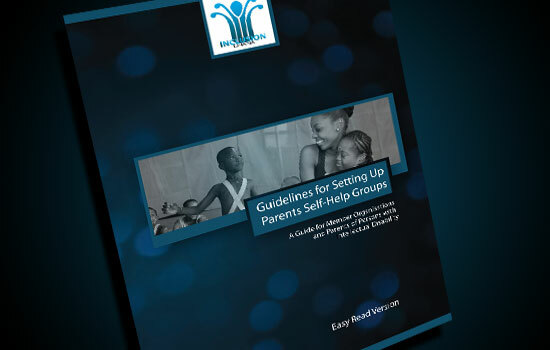 This document offers some guidelines for setting up Parents Self Help Group and it has been made very easy for reading and comprehension. The Inclusion Ghana team together with two selected parents attended the Special Olympics Ghana coaches training held at GNAT Hall in Nungua, Accra. Special Olympics is an international program of year round sports training and athletic competition for more than four million children and adults with intellectual disabilities. 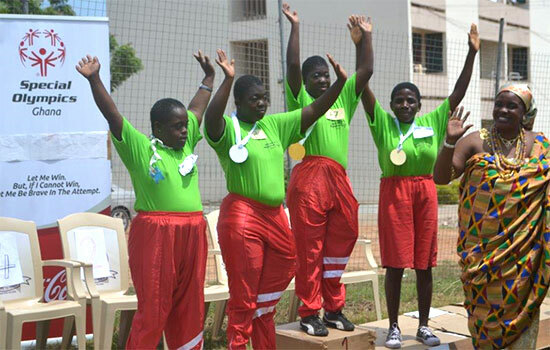 Special Olympics is being relaunched in Ghana and Inclusion Ghana has been chosen as a partner to strengthen the impact this organization will have. During the training the IG team together with selected parents along with 90 Special Education teachers from across Ghana, learned about the ethos of Special Olympics, how to hold a successful Special Olympics competition and, most importantly, the power that Special Olympics has to change attitudes and to promote social inclusion of persons with intellectual disabilities. If we can measure the success of the competition by the joy evident on the athletes faces and their inspiring display of athletic abilities then all agreed it was a tremendous success. Inclusion Ghana is excited about the opportunities this important relationship with Special Olympics will have for persons with intellectual disabilities in Ghana. The government is creating a database on persons with disability, as well as other vulnerable people in the country. The objective, according to President John Dramani Mahama, is to facilitate their access to government social protection programmes. He mentioned the free-of-charge registration of vulnerable persons with the National Health Insurance Scheme (NHIS) as one of the benefits that the database would present. President Mahama made this known, when he dialogued with representatives of vulnerable and marginalised groups at the Flagstaff House, Kanda in Accra, as part of a series of meetings he has programmed to have with various identifiable groups. Inclusion Ghana represented by the National Co-ordinator was invited to be part of the delegation from the Ghana Federation of the Disabled and other marginalised groups in the country to meet the President, His Excellency John Dramani Mahama. The meeting allowed the vulnerable � including the visually impaired, the deaf, rescued children from child labour, persons with intellectual disability, rehabilitated prostitutes, rehabilitated drug addicts and HIV/AIDS ambassadors � to make their challenges known. Most of the concerns expressed centred on stigmatisation, discrimination and the difficulty of persons with disability to gain easy access to public places. 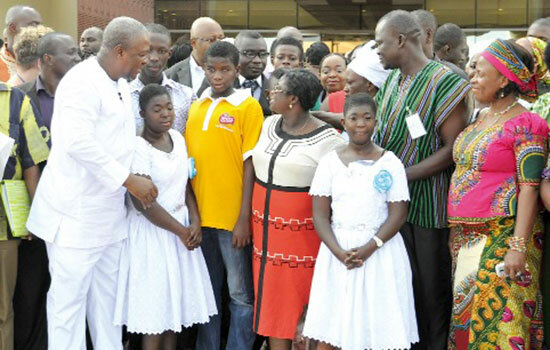 President Mahama affirmed his government's commitment to create the needed environment for persons with disability to unearth their potential and also to have their share of the national cake. The issue of child abuse is a complex problem that has an impact on all areas of society, more so for children with intellectual disabilities. Inclusion Ghana has taken a pro-active role in relation to child protection and is committed to ensuring that the safety, welfare and wellbeing of children with intellectual disabilities are maintained at all times during their participation in activities run by IG and its member organisations. Inclusion Ghana aims to foster a safe and positive environment for all children with intellectual disabilities. Information contained in this document will create a framework and provide direction for staff, consultants, contractors, volunteers, member organisations and parents of children with intellectual disabilities. It will also help deliver a consistent approach to child abuse prevention at all levels of working with children with intellectual disabilities. 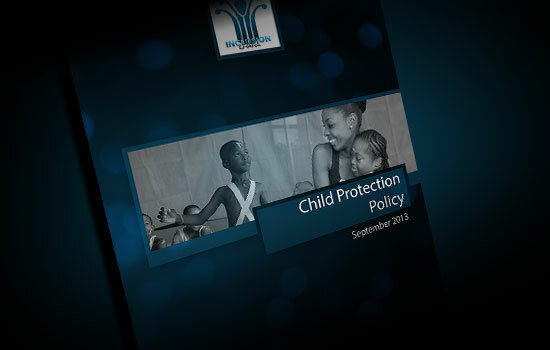 The Child Protection Policy is available for download in the Reports section under Resources. Last quarter saw new parents self help groups being formed. A list of the Parents Self Help Groups can be found on Parents Self Help Groups under Our Partners.